In addition to King Abdullah’s death in Saudi Arabia and hot-n-spicy guns in Las Vegas, there is another topic which never fails to make headlines on CNBC.com and it is none other than McDonald’s Corporation (NYSE:MCD). Covered by Allen Wastler, Managing Editor of the channel, this fast food joint is definitely going through a rough patch wherein everything from its logo to its foundation menu is under a scanner. Having released a disappointing earnings report on Friday, 23rd January, 2015, McDonald’s Corporation (NYSE:MCD) admitted to the fact that it was looking at a complete revamp which would mean making plenty of changes. Every step taken, from offering the option to customize burger to opening less number of outlets in 2015, is aimed at winning back customers who seem to moving away from this global fast-food icon on to its competitors like Chipotle and Shake Shack. 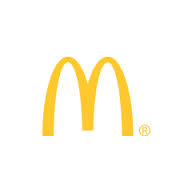 A global survey reveals that while McDonald’s Corporation (NYSE:MCD) was doing well in some parts of the globe like Vietnam, sales figures from USA, Europe and China were actually showing a plunging trend. This in turn has had a negative impact on revenue which fell short of the $6.73 billion mark as projected by analysts to close at $6.57 billion. That said, in what appeared to be a landmark victory for McDonald’s Corporation (NYSE:MCD), one of its cheeseburgers which had been sold in 2009 on the last day of its outlet which was closing down owing to the melt-over, has still retained its freshness. Thanks to Hjortur, it was on display at the National Museum of Iceland till it was recently returned and duly reinstated at the Reykjavik Bus Hostel.